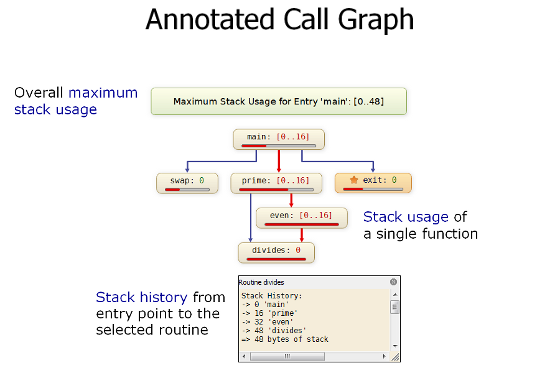 StackAnalyzer provides detailed and precise information on user-stack usage and system-stack usage by application tasks. 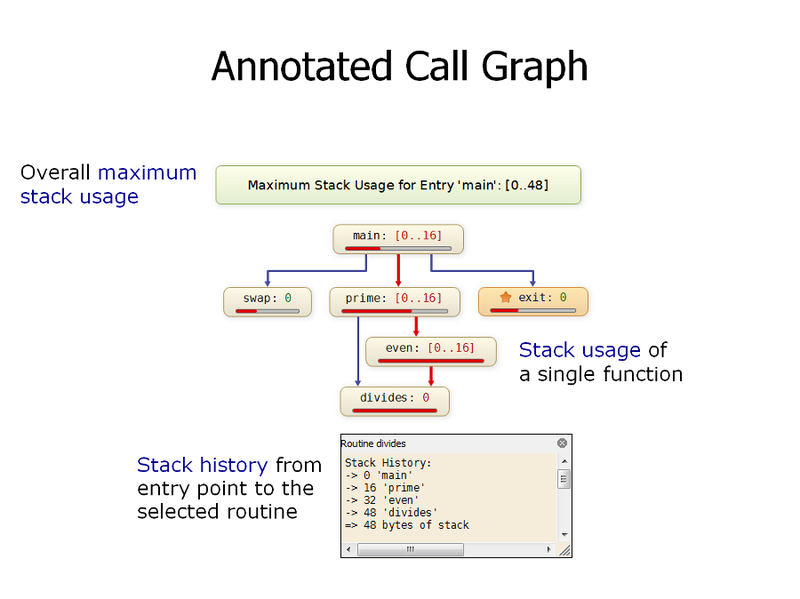 The analysis results are shown as annotations in the call graph and control flow graph. The analysis is performed for all hierarchy levels: routines, basic blocks, and individual assembly instructions. Additional information such as stack history can be shown on demand.